Prof. Dr. med. dent. Stefan Wolfart is Director of the Clinic for Prosthodontics and Biomaterials of the University Hospital RWTH Aachen, and holder of the eponymous Chair of the Faculty of Medicine at the RWTH Aachen University. After finishing high school (1988) and completing the mandatory young men's social service (1989-1990), he graduated from the Philipps University of Marburg (degree in Dental Medicine 1995, Dr. med. dent. 1998). During his undergraduate studies, he was admitted to the prestigious German National Academic Foundation (1993). After his graduation, he joined an independent practice near Cologne (1997). He then worked as a research assistant at the Department of Prosthodontics, Propaedeutics and Dental Materials at the Schleswig-Holstein University Hospital, Campus Kiel (1998-2008), where he was appointed senior resident in 2000. In 2001, he was certified as a "Specialist in Prosthodontics" by the German Society for Prosthetic Dentistry and Biomaterials (Deutsche Gesellschaft für Prothetische Zahnmedizin und Biomaterialien, DGPro). In May 2006, he gained his postdoctoral teaching qualification ("Habilitation"), and in October 2008 was appointed to the tenured Professorship in Prosthodontics and Biomaterials at the Faculty of Medicine at the RWTH Aachen University. Dental implantology and implant prosthodontics have been his primary areas of clinical activity for many years. Prof. Wolfart's main areas of research, apart from implantology and implant prosthodontics, include dental esthetics, the clinical performance of new all-ceramic materials, and their associated improvement in quality of life. He is a certified implantologist with the German Association of Oral Implantology (Deutsche Gesellschaft für Implantologie, DGI) and a Fellow of the ITI (International Team for Implantology). Priv.-Doz. Dr. med. dent. Sönke Harder is an independently practicing dentist at the Clinic for Dental Medicine and Implantology in Munich, Germany, and Associate Professor in the Department of Prosthodontics, Propaedeutics and Dental Materials at the Christian Albrechts University of Kiel. Having graduated from high school (1997) and finished his military service (1997-1998), Sönke Harder completed a degree in Dental Medicine at the Christian Albrechts University of Kiel (Dentistry Examination 2004, Doctorate in Dental Medicine 2005) with a study stay in Switzerland (Lucerne Cantonal Hospital). He began his dentistry career as an assistant in independent practice in Hamburg. After this, he worked as a research assistant/dentist in the Department of Prosthodontics, Propaedeutics and Dental Materials at the Christian Albrechts University of Kiel (2005-2007). In 2007, Dr. Harder moved to the Polyclinic for Prosthodontics at the university hospital of the Ludwig Maximilians University of Munich, but returned to Kiel in the same year and was appointed senior resident there in 2009. In 2010, he left the Polyclinic and set up the Clinic for Dental Medicine and Implantology in Munich, jointly with Priv.-Doz. Christian Mehl, Doctor of Dentistry. He then gained his postdoctoral teaching qualification at the Christian Albrechts University of Kiel in 2013. Dr. Harder's main areas of clinical activity include augmentation surgery and implant prosthodontics. In his research work, he focuses on the biomechanical properties of dental implant systems. Dr. Harder is a Specialist for Prosthetics of the German Society for Prosthetic Dentistry and Biomaterials (DGPro) and a certified implantologist with the German Association of Oral Implantology (DGI). Prof. Dr. med. dent. Sven Reich is Professor for Education and Research in the field of Computerized Dentistry at the Clinic for Prosthodontics and Biomaterials, Center of Implantology (Head: Prof. Dr. S. Wolfart), Faculty of Medicine, University Hospital RWTH Aachen, Germany. Sven Reich studied Dental Medicine at the Friedrich Alexander University of Erlangen-Nuremberg from 1989 to 1994. From October 1994 to November 2005, he worked as a research assistant at the Polyclinic for Prosthodontics of the University of Erlangen-Nuremberg. He gained his doctorate there in 1997. After being awarded his postdoctoral lecturer qualification in Erlangen in 2005, he took a position at the Polyclinic for Prosthodontics and Materials Science of the University of Leipzig in December of the same year. In October 2009, he moved to the Clinic for Prosthodontics and Biomaterials of the Aachen University Hospital. Since July 2012, he has been a tenured W2 Professor. Prof. Dr med. dent. Irena Sailer received her dental education and Dr. med. dent. degree from the Faculty of Medicine, University of Tübingen, Germany, in 1997/1998. From 1998 to 1999, she did her post-graduate training in Oral Surgery at the Clinic for Oral Surgery, School of Dental Medicine, University of Zurich, Switzerland. In 1999, she started her post-graduate studies in Prosthodontics at the Clinic for Fixed and Removable Prosthodontics and Material Sciences, University of Zurich, Switzerland. From 2003, Dr. Sailer was Assistant Professor at the Clinic for Fixed and Removable Prosthodontics and Dental Material Sciences in Zurich. From 2010, she was Associate Professor at the same clinic. In 2007, she was Visiting Scholar at the Department of Biomaterials and Biomimetics, Dental College, New York University, USA. Additionally, since 2009, she has held an Adjunct Associate Professorship at the Department of Preventive and Restorative Sciences, Robert Schattner Center, School of Dental Medicine, University of Pennsylvania, Philadelphia, USA (Director: Prof. Dr. M. B. Blatz). Since September 2013, she has been the Director of the Division of Fixed Prosthodontics and Biomaterials at the University of Geneva, Switzerland. Dr. Sailer is a specialist in prosthodontics (Swiss Society of Reconstructive Dentistry) and in oral implantology (WBA Swiss Society of Dentistry). She is a Fellow of the International Team for Implantology (ITI), an active member of the European Academy of Esthetic Dentistry (EAED), and a Fellow of the Greater New York Academy of Prosthodontics (GNYAP). Master Dental Technician Volker Weber is an Executive Partner of the Impladent dental laboratory in Aachen, which he manages together with his business partners and fellow Master Dental Technicians, Ralf Ommerborn and Ralf Wachelder. Volker Weber did his professional training from 1983 to 1987, after which he worked at a variety of laboratories. His already established contact with the Clinic for Prosthodontics and Biomaterials of the RWTH University Aachen (headed up at that time by Prof. Dr. Dr. Dr. h.c. H. Spiekermann) became closer after he began working at the newly formed Impladent dental laboratory. In 1994/95, he passed his Master Dental Technician's examination at the "Meisterschule zu Köln", a school for master craftspeople in Cologne. Apart from his collaboration with dentists in independent practice, his very close working relationship with the Clinic for Prosthodontics and Biomaterials, Center for Implantology has also continued under the new directorship of Prof. S. Wolfart since 2009. In addition to his dental technology work, Volker Weber has been involved in a number of publications and holds a variety of lectures on the subject of implant-supported superstructures. Since 2005, he has acted as advisor for the continuing education series "Implant Prosthodontics in Dentistry and Dental Technology", certified by the German Association of Dental Implantology (DGZI) and, since 2008, has also acted as advisor for the joint DGI and APW (Practice and Science Academy of the German Society of Dental, Oral and Orthodontic Medicine, DGZMK) curriculum "Implant Prosthodontics and Dental Technology". Mastery of basic prosthetic techniques is necessary before a clinician can undertake complex prosthetic procedures with confidence. 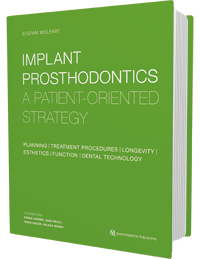 This book reviews practical solutions to clinical problems in prosthodontics and emphasizes the fundamentals necessary to elicit efficiency and success with every prosthetic protocol. Beumer III, John / Marunick, Mark T. / Esposito, Salvatore J. The rehabilitation of patients with disabilities of the head and neck secondary to acquired and congenital defects continues to be a challenge. Given the recent advances in reconstructive surgery and maxillofacial prosthetics, the pace of change in the rehabilitation of oral and facial defects has been far too slow.